It has been one very wet spring so far, here in Delaware. Our backyard is so soggy, it reminds me of a swamp. And swamps remind me of frogs. And frogs remind me of the lily pad and water lily post I’ve been wanting to work on. So, while I was waiting for our backyard to dry out, I got busy rolling paper. 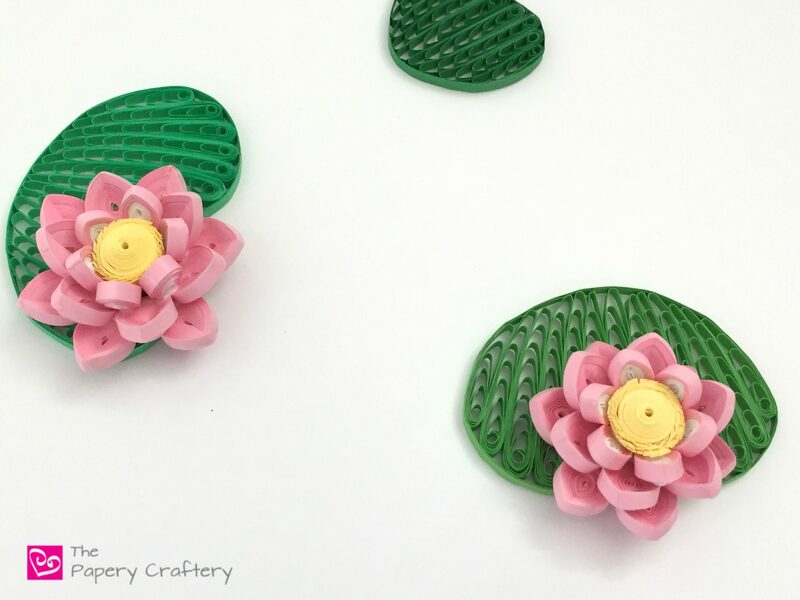 And now I’m sharing a tutorial all about quilling paper water lilies! Now, hold on to your hats, folks, because this is a heck of a post. There are actually two separate projects here: the lily and the lily pad. First, let’s tackle the flower. The lily is comprised of 3-D pale pink petals surrounding a yellow center that is slightly fringed. It is going to made in two steps. 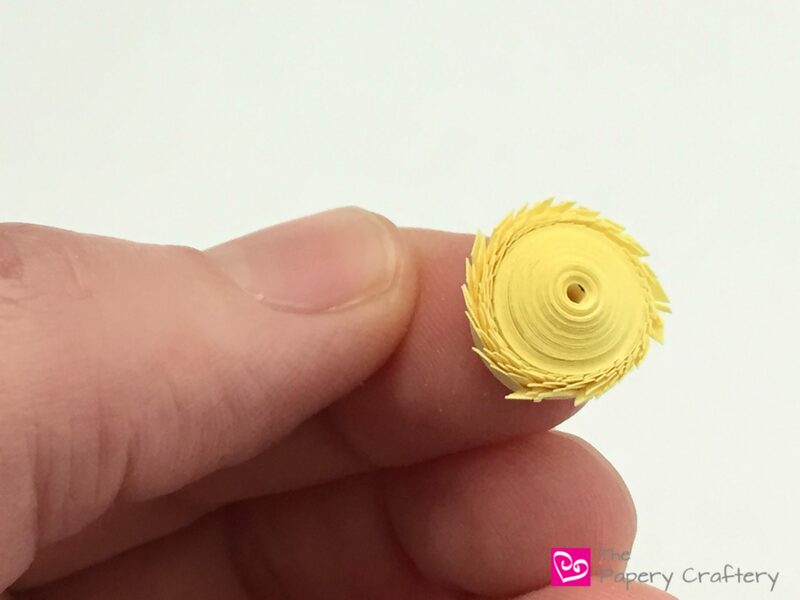 First, roll a tight coil from about 25″ of yellow quilling paper. 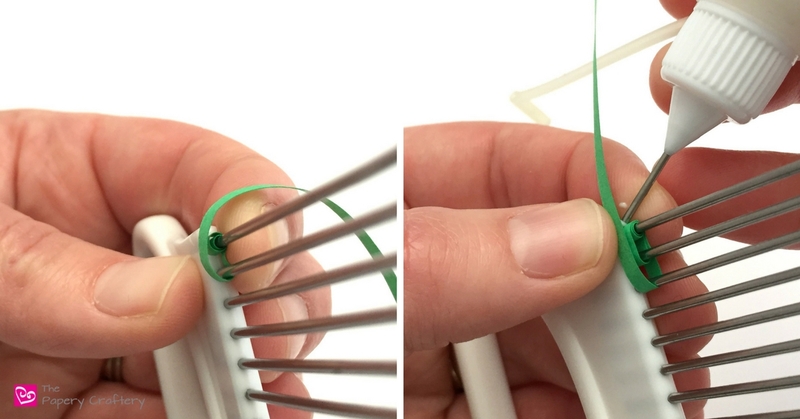 As that dries, make a quick fringed strip using a paper fringer or by using the clip technique. This just means using a binder clip to hold one edge of a strip of quilling paper, and making small snips along the exposed edge. The clip will stop your scissors from cutting all the way through the strip. 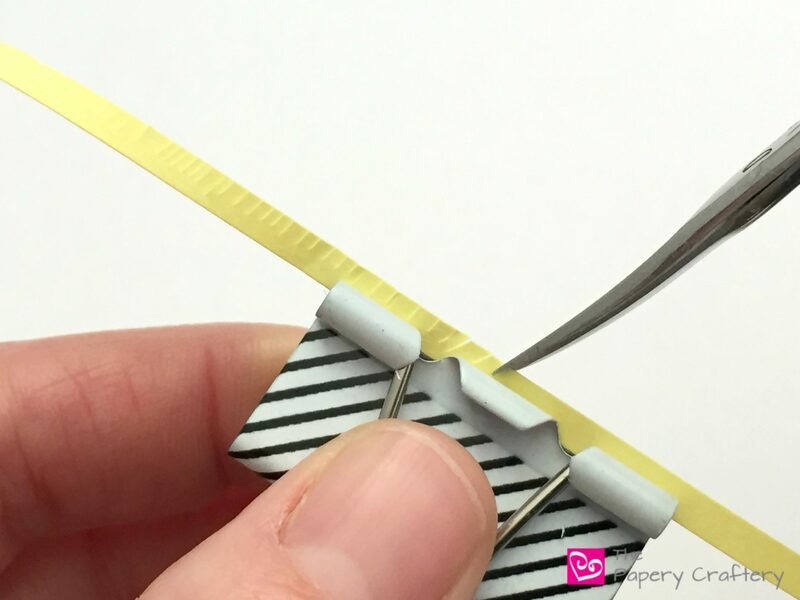 Gently glue one end of the fringed strip to the yellow coil and wrap, gluing in spots as you go. Set the completed center aside. The rest of the lily flower is made of rows of tight coils that are pinched into teardrops. For those who have followed me for a while, this might remind you of my paper succulent tutorial from last year. The first row will be the smallest in size. I played around with making this layer tow-toned by first rolling 6″ of white into a tight coil, then adding 12″ of pale pink and continuing to roll. Take the coil off your tool, and make into a very slight dome. Pinch into a teardrop, and repeat to make 6 petals. The next two rows are made in the same way, except I only used one color. To make these, glue 2 17″ strips of pale pink together. Roll, dome and pinch just like the petals in the first row. You will need 12 total petals of this size for each lily. After all your petals are made, start composing the flower. I like Tacky Glue for crafts like this because of the faster drying time. 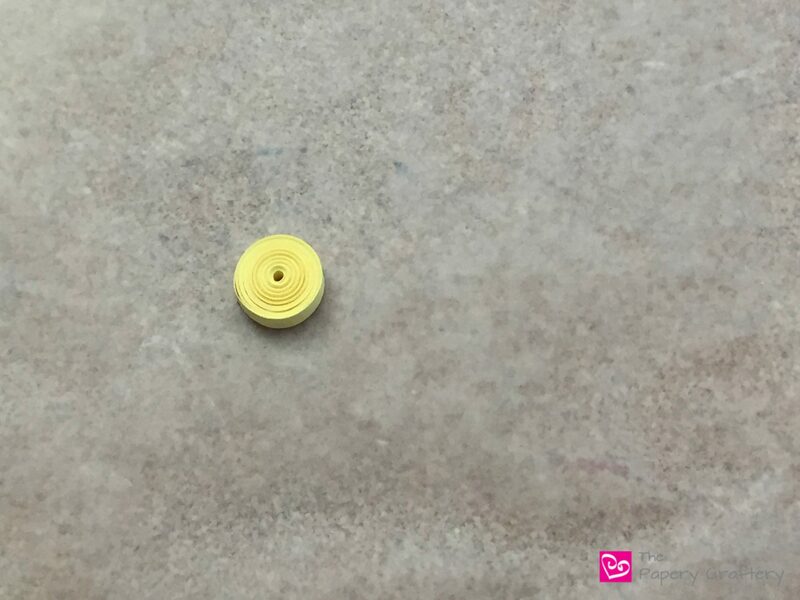 It might be helpful if you pin your yellow fringed center in place to keep it from moving around. 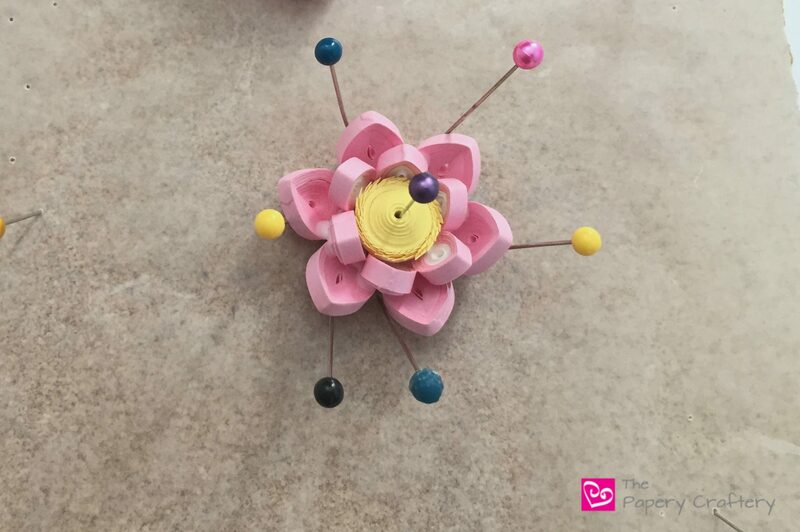 Try gluing the first row so the petals are standing straight up. 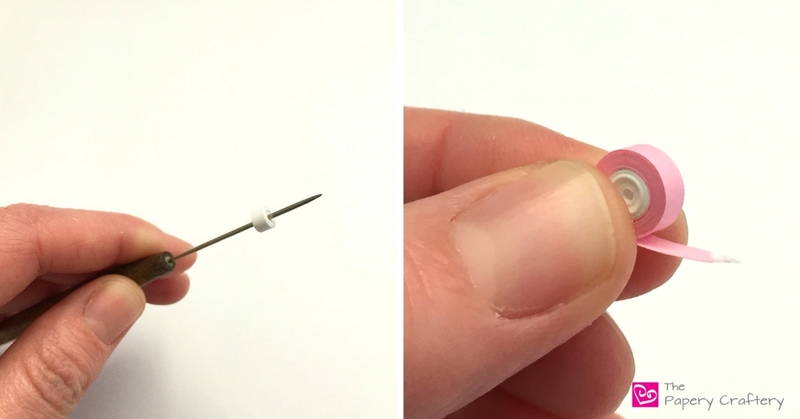 Pins can help here, too. Once the first layer has dried, the rest of the petals can be glued, as well. Angle them out more so the flower appears to be opening up. Now for the lily pads!! I drew up some quick templates to use as a starting point for the lily pads. They’re a bit more stylized than realistic, but they will work well with the technique I’m going to share. 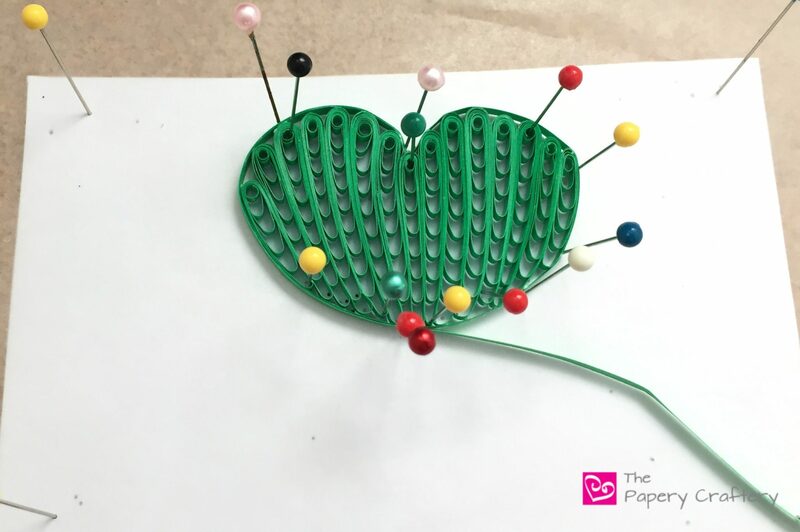 After printing and pinning the lily pad of your choosing to your workboard, grab your quilling comb, needle tool, glue, and your favorite shade of green quilling paper. 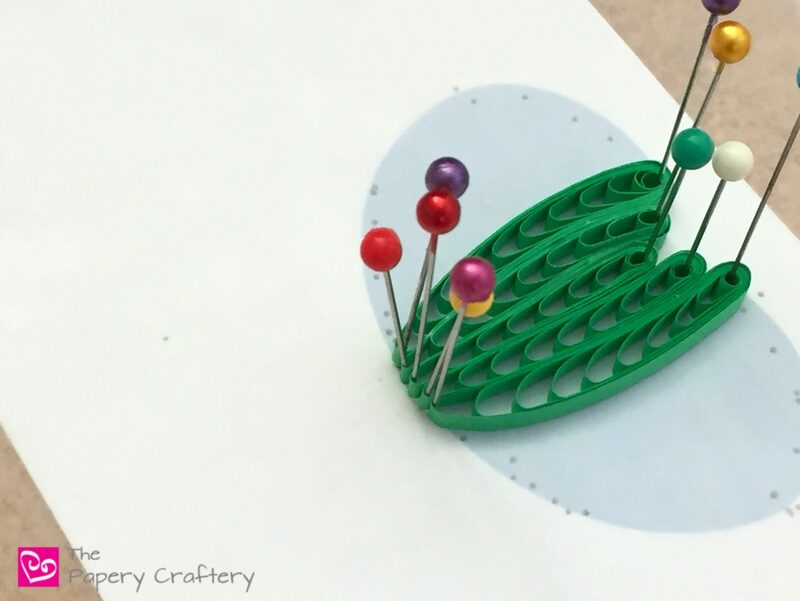 First, hold your quilling comb up to the center of your lily pad. Now, count the number of teeth that it takes to reach the end of the shape. This is how many teeth you’ll need to wrap your strip around on your comb to fill in that section of the lily pad. 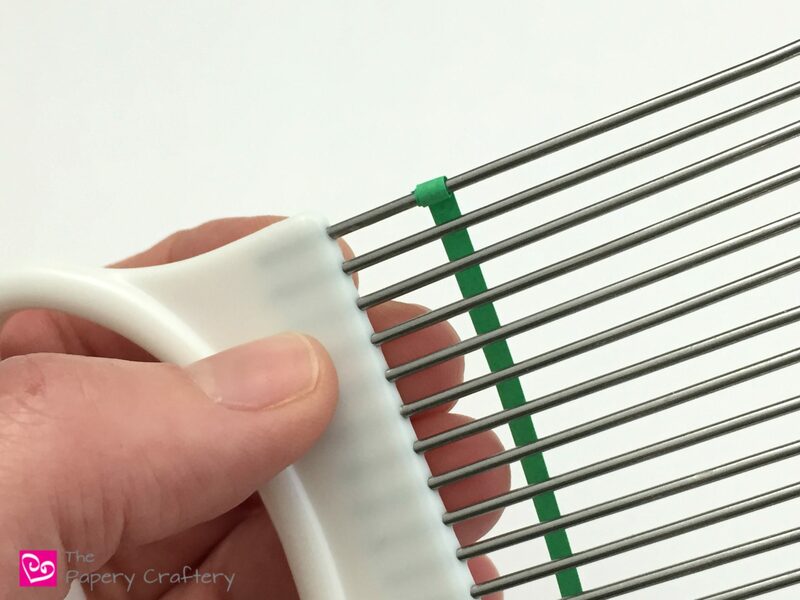 Before you use your comb, roll your strip a little on your needle tool. 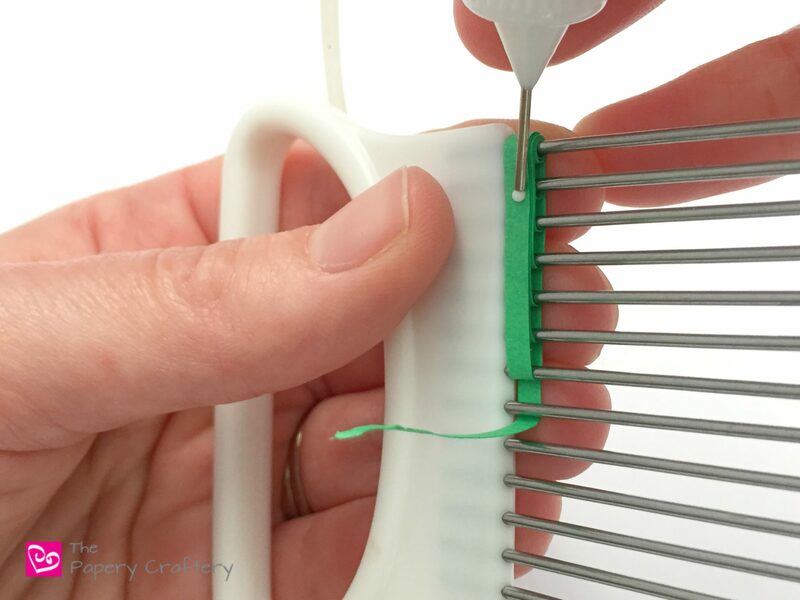 When you remove your strip from your tool, you’ll have a loop to place on the first rung of your quilling comb. 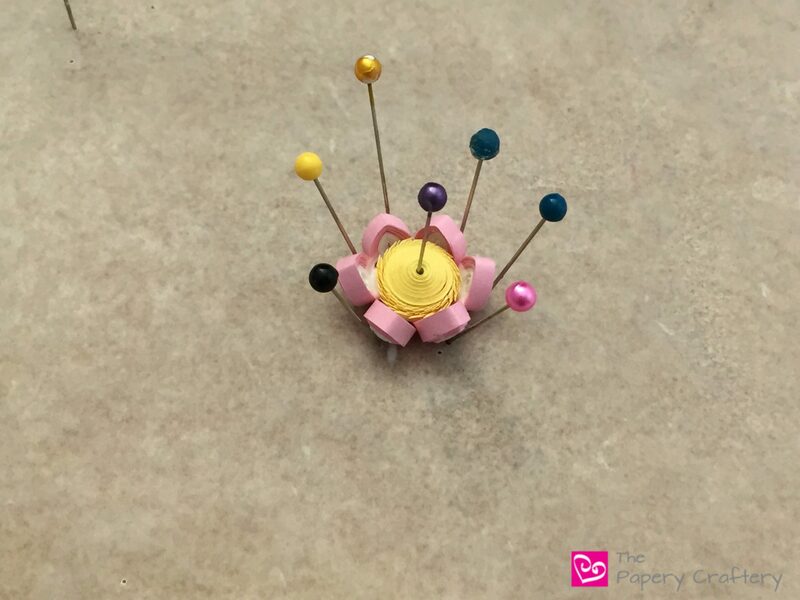 It acts as an anchor to stabilize the quilling paper. Next, wrap the end of the strip around the next spot on the comb. Pull the strip back to the end of the comb again. 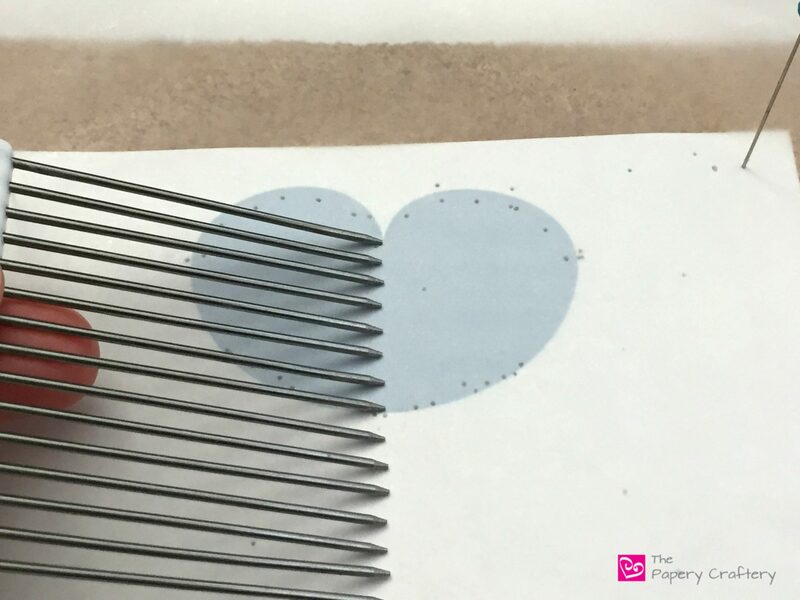 Continue in this way, adding an additional tooth on the comb at every pass, until you reach the number that you measured when you lined your comb against the template. For example, when I measure with my comb, I need to wrap 8 teeth on my comb to fill in the center of the smallest lily pad. 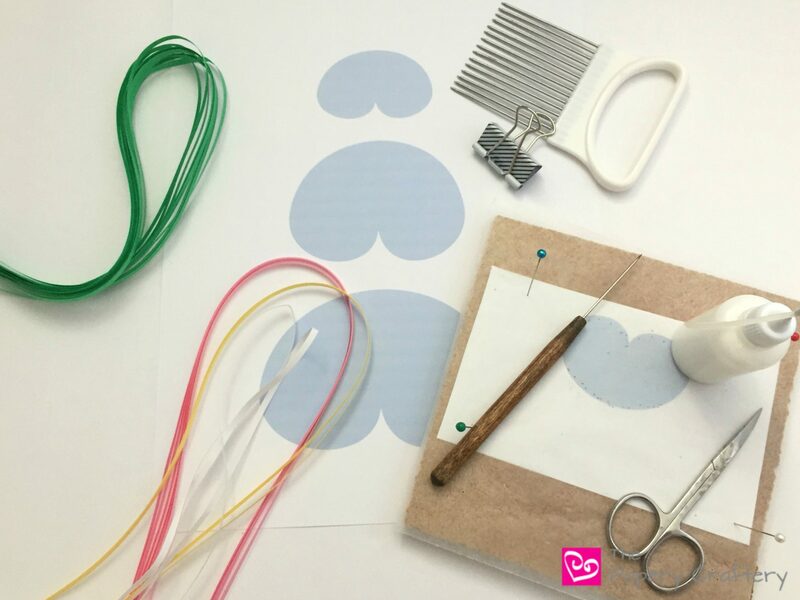 Bear in mind, the type or brand of comb you use will have different spaces between the teeth, so measure with the tools you have! 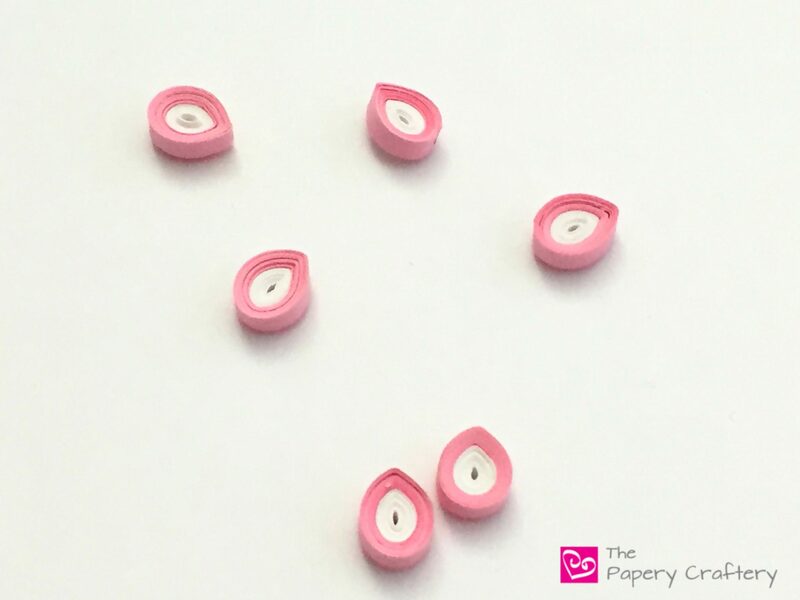 Once you have wrapped your strip around the number of teeth that you need for that section, tear off any excess and glue to secure. 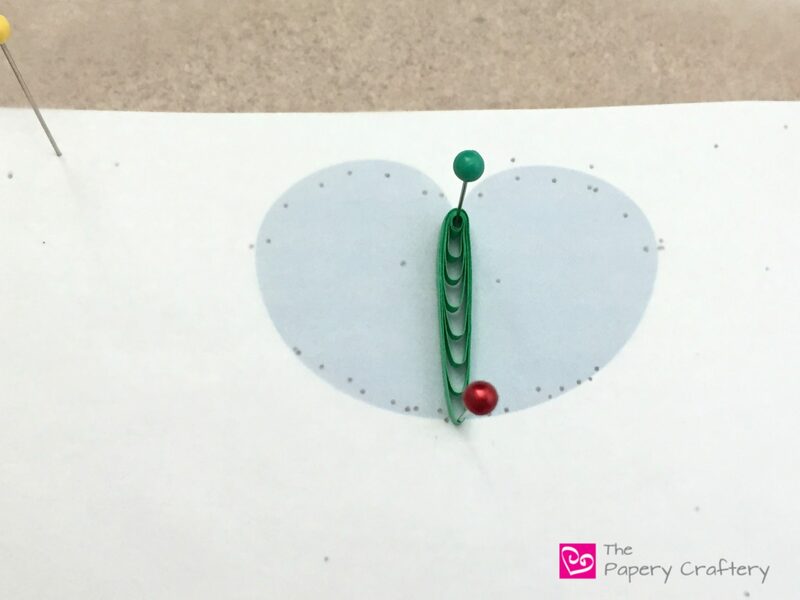 Line up your looped paper in the center of your template and pin to keep in place. 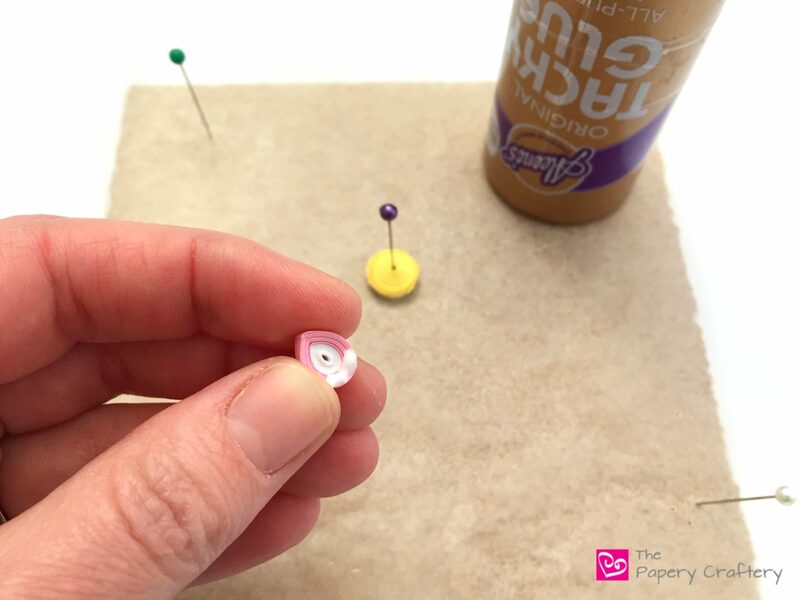 Continue measuring and wrapping until you fill your lily pad template, adding some glue and using pins, as needed. TIP: Work from the middle towards the sides to make an even lily pad. Notice that the looped strips start bending towards the center. 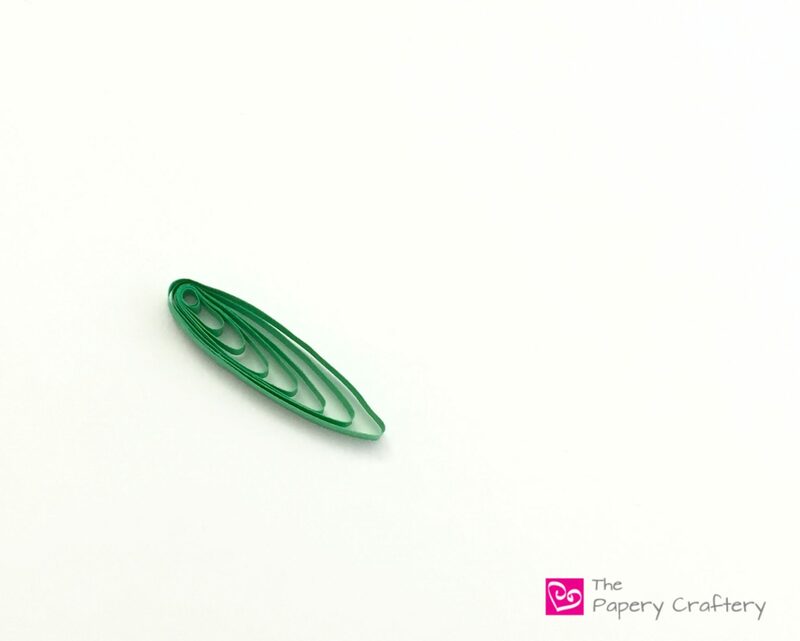 This is ideal to fill in the lily pad template completely without spaces between the quilling strips. 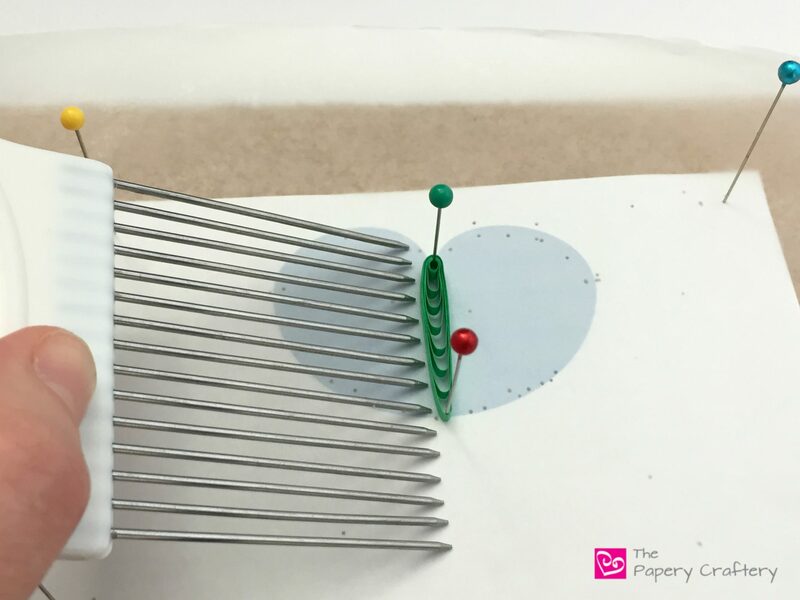 Just remember to account for that when measuring with your comb! 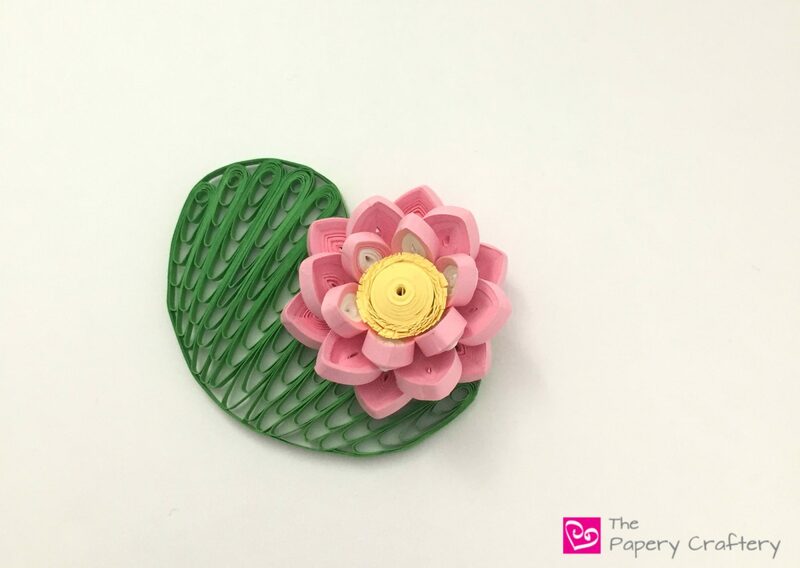 When your lily pad is filled, wrap the outer edge with a quilling paper strip a couple times for a finished look. 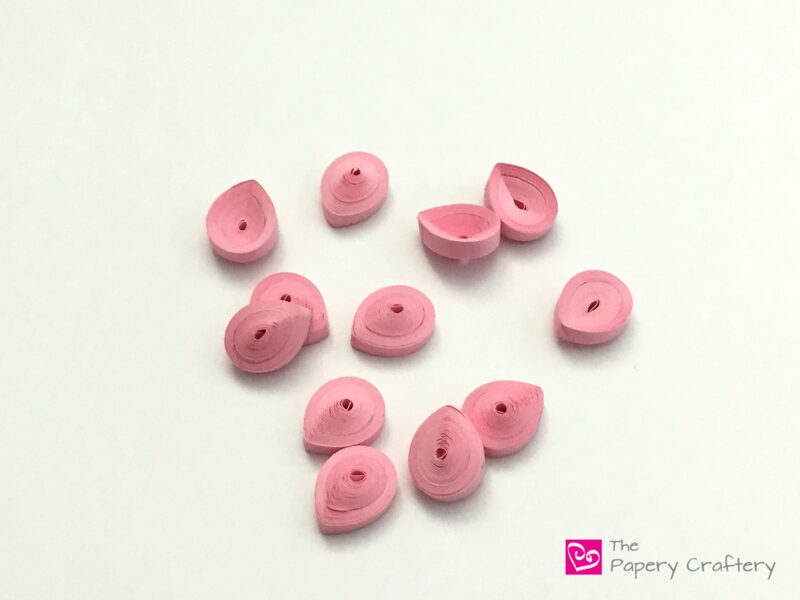 After your quilling paper water lilies and lily pads have dried, they’re ready to go! Once again, I apologize for the length of this post, but think of it like a 2 for 1! Plus, there are plenty of variations to make it your own. 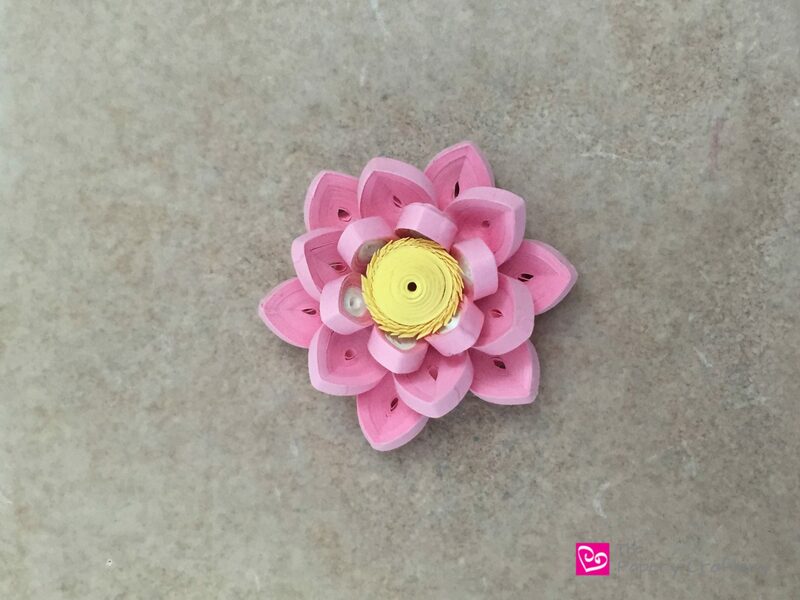 Maybe play with making a dahlia or clematis flower with the same techniques used to make the quilling paper water lilies. Or change up the shape of your lily pads and add loops of a darker green to make strips of color. Just play with the techniques and see what you come up with! And, don’t forget to let me know how it all works out in the comments below! I love these water lilies! They are so adorable that I can see myself using them in a card for a special friend who loves frogs and lily pads! What paper width did you use? Sometimes I use a width and am not happy with how big the item is when it’s all assembled. I prefer the more delicate look of the lower profile, so just wondering. Perhaps in your future blogs you could include the width of the paper as you do with the lengths? I also checked further back to your paper succulents and I am definitely going to try those. I have older sons that love succulents and these were perfect. Thanks again, I look forward to reading your weekly posts! Hi Pam! I’m glad you already have a use for this design! Unless I write otherwise, I use 1/8″ strips (mostly because they’re easy to find and I have tons!). The finished size of the lily as I made it is about an inch and 3/4 wide. The smallest lily pad on the template is 2 1/2″. The lily would be absolutely lovely if made with the smaller 1/16 paper. I would stick with 1/8″ for the center and the fringe, however, to give a stronger starting off point. The succulents can be made with thinner paper, too. Wow, two major “aha” quilling moments for me and I haven’t even finished reading the post yet! Thanks so much for sharing your tricks of the trade in such clear detail. Drawing out the shape you want to fill and THEN figuring out how many comb teeth to use by –*headsmack*– simply holding the comb up to the shape? Game changer! And anchoring on the comb by first using a tool to roll a tiny bit? *Smack head again. * Can’t wait to put these techniques into use! Carol, you just made my day! I’m so excited to show you something new! This is so sweet!! The leaves, the flowers, their colors… I love them all! Thanks so much, Ana Cristina! Lovely flower and leaf. This may encourage me to use my comb if I can find it! Ha! I totally understand. My workspace is a mess right now!